It would be a mistake to characterize the pillarless hardtop as a purely American phenomenon, but it’s certainly true that U.S. buyers embraced hardtops far earlier and to a much greater extent than other markets. As we discussed in our article on the pioneering Buick Roadmaster Riviera, hardtops began their U.S.-market proliferation in the early fifties and by the mid-sixties had become ubiquitous, with nearly every American-made car line offering at least one hardtop body style. Although other auto-producing nations dabbled in pillarless bodies, hardtops were a tough sell in most non-U.S. markets. A quick comparison of population and per capita income figures makes clear why: Particularly in the fifties and sixties, other automotive markets were not only significantly smaller than the U.S., but also had far fewer buyers with the financial wherewithal to prioritize style over practicality. Considering all that, what’s remarkable about the Japanese hardtop craze was not that it got off to a slow start — in 1965, when Japan introduced its first homegrown hardtop, total annual Japanese passenger car production was about one-tenth that of the U.S. — but the extent to which it took off and the fact that it endured long after the U.S. had moved on. 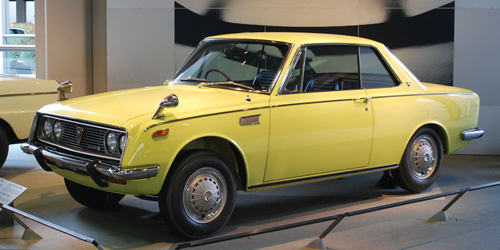 Predictably, Japan’s first native hardtop came from Toyota, which had the largest single share of the domestic market. The RT50 Toyopet Corona hardtop, launched in July 1965, was a two-door hardtop version of Toyota’s bread-and-butter T40 Corona, priced ¥112,000 (about $320, roughly 18%) above the Corona Deluxe sedan. The hardtop was positioned as a sporty model, bolstered by the availability of a more powerful 1600S with an extra 20 PS (15 kW) and, from the summer of 1967, the homologation-oriented 1600GT (RT55). Despite its higher price, the hardtop caught the wave of Japan’s growing prosperity; domestic passenger car production doubled between 1965 and 1967 and had nearly doubled again by 1969. The Corona hardtop was popular enough that Toyota followed it with two-door hardtop versions of the bigger Corona Mark II and Crown, both launched in late 1968. Second-place Nissan lagged a little behind, not adding its first two-door hardtop (in the C30 Laurel series) until mid-1970, about seven months after Mitsubishi’s Colt Galant hardtop and nine months after the rare FWD Mazda Luce Rotary Coupé. Nonetheless, Nissan was not to be outdone, soon rolling out not only hardtop versions of the Laurel, but also of the 610 Bluebird U, the C10 Skyline, the 230 Cedric and Gloria, and the new 710 Violet. Honda added its first hardtop, a pillarless version of its diminutive Z minicar, in November 1972. Subaru joined the party the following June with a hardtop version of the first-generation Leone. The smaller manufacturers didn’t embrace the hardtop idiom to the same extent as did Toyota and Nissan — after the demise of the Z, it would be some time before Honda offered another hardtop model — but most automakers offered at least at least one pillarless model. By the late seventies, Toyota offered hardtops in nearly all its passenger car lines except the humble Tercel and Starlet. 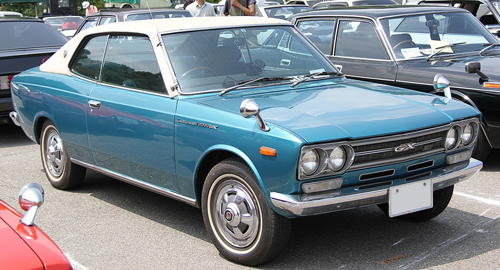 Nissan introduced Japan’s first four-door hardtop in the 230 Cedric and Gloria lines in August 1972, complementing the two-door hardtops introduced the previous April. Like the two-door models, the new four-doors were true pillarless hardtops, standing about 0.8 inches (20mm) lower than the sedans. Compared to the sedans, the four-door hardtops were 5–10% more expensive and sacrificed a bit of headroom (and more than a bit of torsional rigidity), but they were stylish and, for the moment, unique. They would prove highly influential. The arrival of Nissan’s big four-door hardtops seems to have caught Toyota off-guard; a comparable version of the Toyota Crown wasn’t introduced until the debut of the S90 series in late 1974. Unlike the Cedric and Gloria, the new Crown body style was a four-door “pillared hardtop,” an idea Ford had introduced for its full-size LTD line back in 1971. 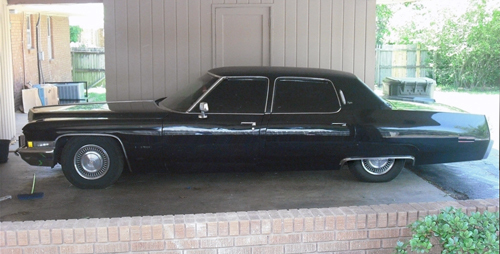 The Crown four-door hardtop stood about an inch (25 mm) lower than the four-door sedan, used frameless door glass, and had a unique B-pillar treatment. Whether pillarless or not, both of these cars were very popular with Japanese buyers in this class, so the four-door hardtop body style continued into the subsequent 330 Cedric/Gloria, launched in June 1975. 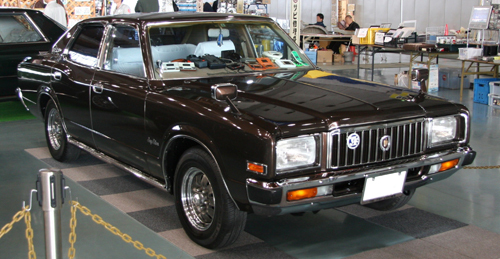 Toyo Kogyo followed suit in late 1977 with the new edition of the Mazda Luce (a.k.a. 929) that included a four-door pillared hardtop with a roof treatment very similar to that of the S90 Crown. It’s notable that the new Mazda Luce four-door hardtop actually replaced the previous hardtop coupe. Similarly, the 430 Cedric and Gloria, launched in June 1979, retained their four-door hardtops, but abandoned their two-door bodies. Toyota’s two-door Crown hardtop would survive for one more generation, finally expiring in 1983, but the two-door hardtop version of the Mark II (a.k.a. Toyota Cressida) expired in February 1979, a year and a half before the end of the X30 generation. 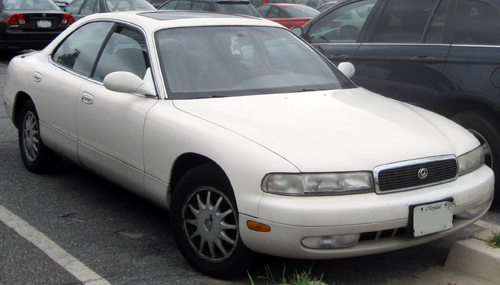 Big two-door Japanese hardtops did not so much expire as switch to an emerging class of large personal luxury cars like the Mazda Cosmo, Nissan Leopard, and Toyota Soarer, and even some of those would offer four-door versions. Four-door hardtops, meanwhile, were becoming a mainstay of most large Japanese car lines and would remain so for the next two decades. 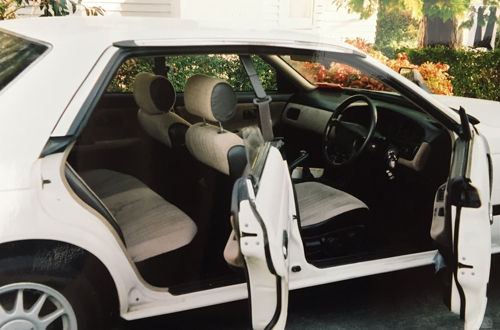 Never having lived in Japan, we have no special insight into the unique preferences of that market, but we will hazard a theory abut why big four-door hardtops became so popular there. 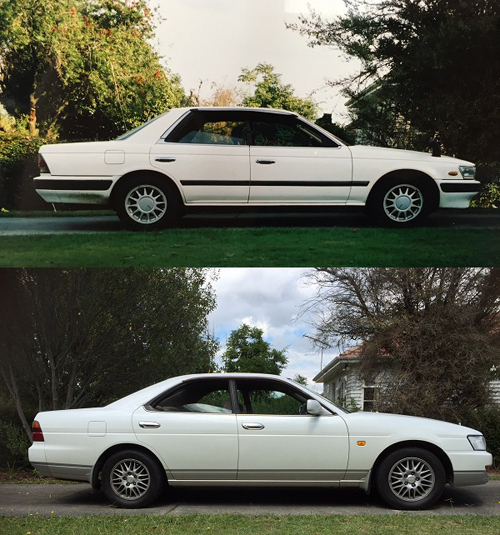 Style was undoubtedly a factor, but we suspect that another consideration was that a substantial percentage of large Japanese cars like the Crown and Cedric (which were not cheap or cheap to own) went to government and commercial fleets. The mere fact that hardtops were more expensive than four-door sedans was anathema to the typical fleet buyer — whose stinginess, we presume, transcends mere cultural boundaries to become something approaching a universal constant. Driving a big hardtop, therefore, immediately signified that you were a well-heeled private buyer, not a taxi driver, and a four-door hardtop allowed you to do that without sacrificing too much of your and your passengers’ convenience in the process. Judging by the proliferation of these cars, many Japanese buyers apparently considered that a useful compromise. 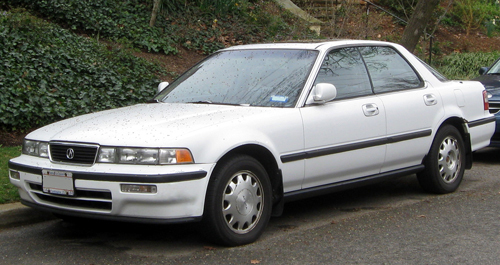 By the early eighties, Japan’s growing affluence had opened the four-door hardtop floodgates. First up were four-door hardtop versions of the second-tier luxury cars. 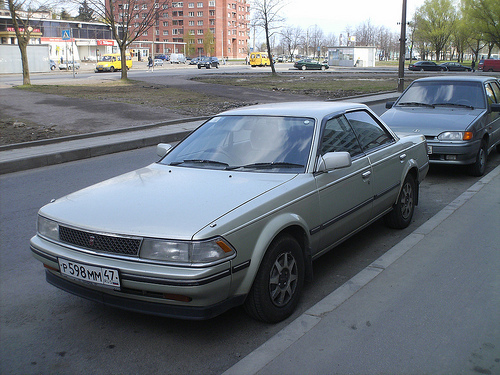 Nissan added a pillarless four-door hardtop version of the new C230 Laurel in early 1977 and continued that body style for the C31 series in November 1980, simultaneously dropping the two-door hardtop models. Around the same time, Toyota introduced pillared four-door hardtop versions of the Mark II and its Toyota Chaser sibling. 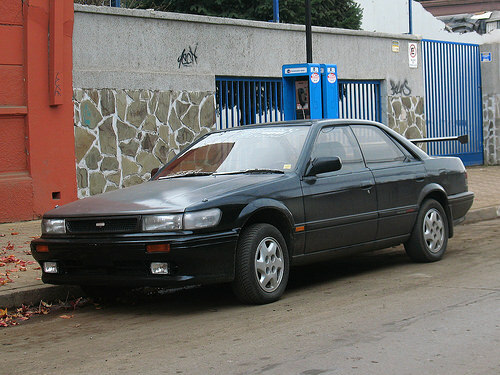 Mitsubishi got into the act three years later with a pillared four-door hardtop version of the Galant Sigma and Nissan added a four-door hardtop Skyline in 1985. It was inevitable that the trend would continue to filter downward into the cheaper price classes, which, frankly, needed the help. Japan’s biggest and smallest cars, if not necessarily attractive to Western eyes, at least had some memorable eccentricities; by contrast, most middle-class Japanese sedans of the era had about as much aesthetic distinction as an empty cassette case. 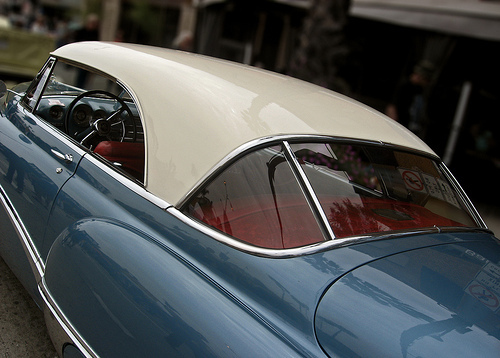 Hardtop body styles provided some welcome relief from the stylistic doldrums. Nissan had actually taken the first step in this direction back in 1979 with the addition of a four-door hardtop to the popular new 910 Bluebird line, but while that body style continued into the U11 generation in late 1983, other automakers were slow to follow suit — even Toyota, which was perhaps preoccupied with the expensive conversion of its C- and D-segment sedans to front-wheel drive. 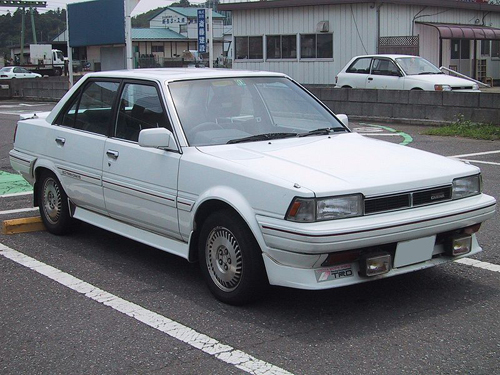 Finally, in September 1985, Toyota redressed that shortcoming by introducing its first pillarless four-door hardtop, based not on the big Crown or Mark II/Chaser/Cresta, but on the middle-class Toyota Carina. The new Carina ED — for “Exciting and Dressy,” said the press kit — shared its platform with the recently introduced FWD Carina and Corona sedans and the new T160 Celica, launched at the same time. Despite that structural commonality, the Carina ED shared neither sheet metal nor dashboard with the anonymous-looking Carina or Corona sedans and stood more than 2 inches (55mm) lower. It was also at least 110 lb (50 kg) heavier, probably due at least in part to the structural reinforcement necessitated by the pillarless roof. Toyota made much of the Carina ED’s coupe-like styling, and in be-spoilered G-Limited form, it looked quite sporty. (We assume it drove much like a contemporary Celica, since it shared the same chassis and most of the same engines.) However, it seems that the main appeal was not sportiness per se, but simply that the ED was considerably more stylish than the stolid four-door sedan for very little more money. The biggest sacrifice was headroom, which was 2.8 inches (70 mm) less than in the sedan. 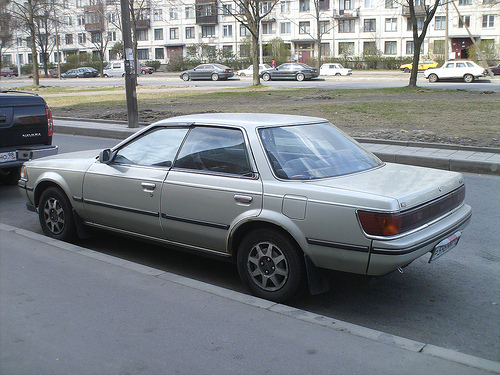 Although the Corona and Carina shared the same platform, Toyota hedged its bets by introducing the four-door hardtop only in the Carina line; the related FWD Corona got a two-door notchback coupe instead. The trepidation was unwarranted because the Carina ED was a hit, comfortably exceeding Toyota’s sales projections, while the Corona coupe appears to have been a flop. 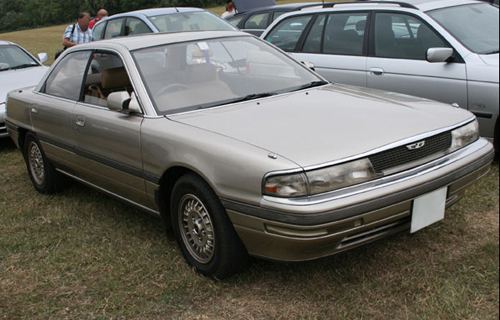 The Carina ED was followed by a host of other moderately priced four-door hardtops: a pillared hardtop edition of the Toyota Vista (a twin of the V20 Camry) in late 1986; Nissan’s U12 Bluebird in September 1987; a V-6 Camry hardtop, the Camry Prominent, in August 1988; and the Mazda Persona (a hardtop version of the GD Capella) and Eunos 300 that October. The second-generation (T180) Carina ED arrived in September 1989, now accompanied by a Corona version, the Corona EXiV (pronounced “ecksiv,” according to Toyota, for “Extra Impressive”), replacing the short-lived two-door coupe. Honda, which had largely abstained since the demise of the Z hardtop in the seventies, also entered the fray in 1989 with four-door hardtop editions of the new DA Integra and the five-cylinder CB Accord Inspire and Vigor. As far as we’ve been able to determine, the T180 Carina ED and Corona EXiV were the last new pillarless four-door hardtops to be launched in Japan. While the popularity of the style had not diminished, achieving it while maintaining an acceptable level of structural rigidity — to say nothing of collision protection — had never been easy and was getting harder as safety regulations became more stringent. As a result, a growing number of these cars were now pillared hardtops. For four-door models, a low, coupe-like roofline, usually with “faster” sail panels and often (though definitely not always) with a four-light rather than six- or eight-light side profile. 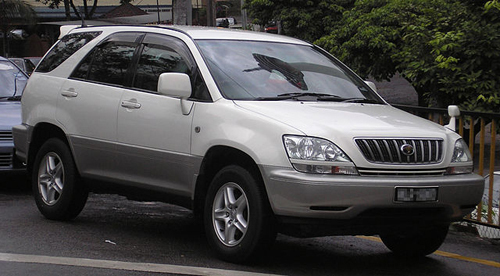 All of the new hardtops introduced from 1990 on followed this format, including the Mazda Sentia (which replaced the Luce as Mazda’s flagship in May 1991), the Honda Ascot Innova (another spin-off of the CB Accord), the Toyota Corolla Ceres and Sprinter Marino (four-door hardtop versions of the E100 Corolla/Sprinter), the Nissan Presea (based on the compact Sunny), and the Galant-based Mitsubishi Emeraude. 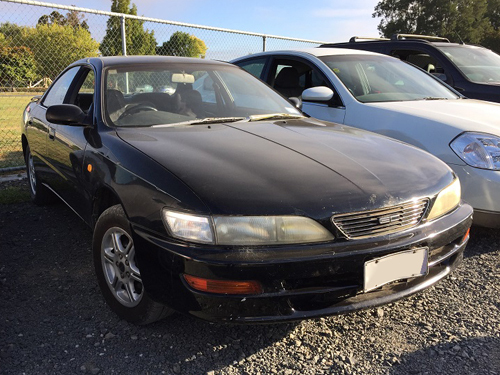 The Mazda Lantis coupe introduced in September 1993 (sold as the 323F in some export markets) had all the characteristics of the type, but Mazda didn’t describe it as a hardtop.